The digital genre is highly dynamic and new innovation is inundating the industry constantly with the purpose of making the e-commerce field better. The rate at which the trends are growing, the industry is destined to dramatically change for the better in the long run. Today, e-commerce sites are ferociously competing against each other to make their customer experience much more engaging and enriching. This, in turn, drives online sales. The website of a company is a powerful extension of its brand today. Businesses are constantly coming up with creative and imaginative trends to stay ahead of the competition. Below we discuss some of the top marketing trends that can drive online sales for e-commerce ventures. User-generated content has been around for some time now. With every passing day, it is becoming more and more important as users expect more out of the companies that they are interacting with. UGC is expected to become a strong trend in the very near future. According to Forrester, 82% of online shoppers depend upon UGC when making a decision regarding a purchase. 70% of buyers prefer reviews written by other buyers as opposed to content written by professional marketers. 70% of consumers find the feedback that they receive from their online circles trustworthy and 46% trust the reviews that are posted by other buyers. In contrast, only 10% trust the banner ads that they come across on websites. Perhaps the best part about UGC is that the content need not be separately created. Once the mechanism to generate user content is in place, it becomes simple and quick. Perhaps the most important part of any successful online marketing strategy is to ensure that customer experience is smooth. When designing a marketing strategy, one has to make sure that such is the experience of a typical visit to the site that he or she is intuitively persuaded towards making a purchase. This is where analytics comes in. A close monitoring of user behavior on the site enables us to better understand the reason behind high or low conversion figures. For example, a high bounce rate of our site will signify that the users are either not interested in our services or products or are turned off by the design and layout of our site. Understanding the consumer psychology is key to figuring out how to best create the interface of our website so that customers have an engaging and enriching experience which creates the highest probability of a purchase. In the very near future, the shopping experience is expected to become more and more personalized. Machine learning will better upon the product and search suggestion to customers. The shopping experience is going to become more anticipatory and data-driven. Today, machine learning can analyze the behavior of users both at a collective as well as at an individual scale. Furthermore, most websites have access to the history of usage of the customer. 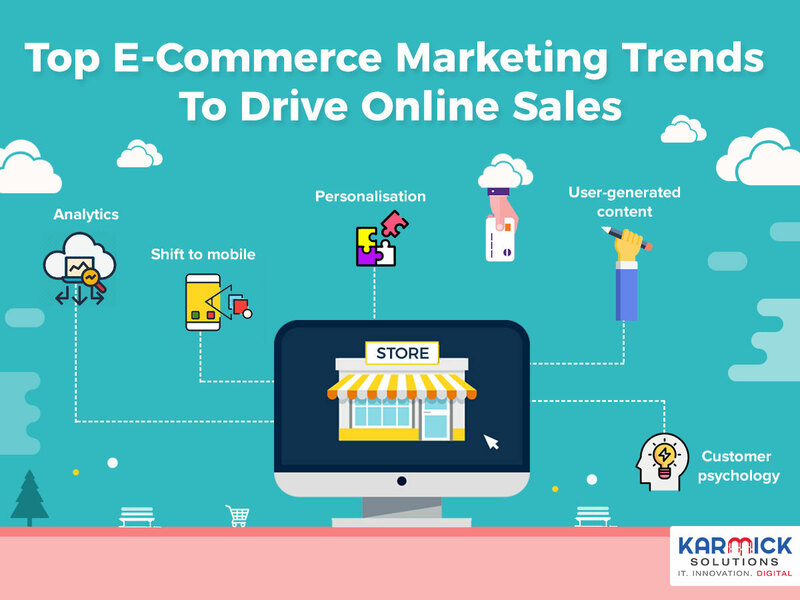 With these powerful tools at the disposal of e-commerce engines, the decisions with regards to which products to recommend, how to personalize the entire shopping experience of the customer and when to offer purchase discounts will be almost wholly data-driven. This is expected to increase online sales. Also, the e-commerce platforms will be able to adapt to the changing behavior of purchase patterns depending upon seasonal changes. Thanks to machine learning and data-driven strategies, ad banners will become more and more pertinent and will actually become useful to the customers in making purchase decisions. This level of customisation will deliver a whole new experience to the consumer and will significantly increase traction in online sales and value addition to the company.